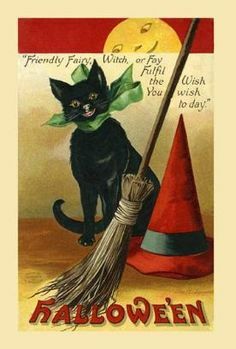 Public domain vintage halloween postcard. No copyright restrictions. Free to use in personal and commercial work.